Most of our needs are met instantaneously. Thirsty we drink. Hungry we eat. We have an abundance of comfort that just keeps growing everyday with, new inventions and improvements to technology the sky is the limit. We have the world at our fingertips… yet, people are not happier?! People seem stuck in a constant state of wanting, needing and desiring. This constant urge to fill a space that never seems to be full. Don’t get me wrong, desire is innate within us–a necessary tool to pull your soul towards its evolution. it compels you forward. However when a society is sick they begin to feel empty, discontent, sad or alone and desire becomes the medicine it is only temporary, more of a distraction or a bandaid placed over the big problem. Eventually you will have to deal with the underlying wound. Ultimately under it all is the same underlying desire for peace, contentment—happiness. And I promise you that there is no magical amount of comfort that will create the perfect environment for happiness to happen. In fact no matter how hard you try to tweek your external experience under the precedence that “I will be happy when or If this happens.” Trying to find happiness through external means is actually the thing that is keeping you away from your happiness. Eventually you have that experience or thing in your hands and you wonder why do I still feel the same? I should be happy. There must be something wrong with me. So you start to look for that next thing that someone tells you will make you happy! It is a vicious never ending cycle that keeps reaffirming that you are not enough just as you are. I fell into that trap just like everyone else. I had the house The car the high paying job and I thought okay… I have it all… when will I be happy? I began to notice that my happiest moments were when I didn’t care what I looked like or what anyone else thought. Like when my children were born or when I watched them play. I was happiest when I was helping or serving others in some way. That was when I made the decision to do just that. To one person at a time show the world that they were enough just as they are. 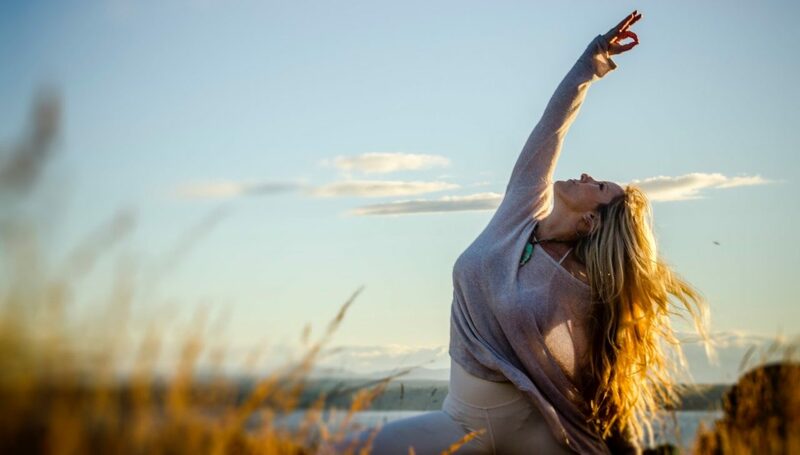 So I began teaching yoga, mindfulness, creating community and connections and I started to discover that there was a path to happiness. I knew the way and anyone could get there. It starts with surrender. Notice the blessings. Tune into the beauty. Look up at the stars once in a while and recognize that you are a piece of that. you are infinite. Love yourself in such a profound way that you learn to love even your mistakes or the things you deem as imperfections, love yourself for your moments of anger, frustration and sadness. Because the more that you love yourself free of judgment and ridicule the easier it is to love the world nd its imperfections. Suddenly instead of people or things needing to earn your love you start loving first and that is when the miracle happen. ← THE TIME IS NOW!!!!!! WE NEED YOU!